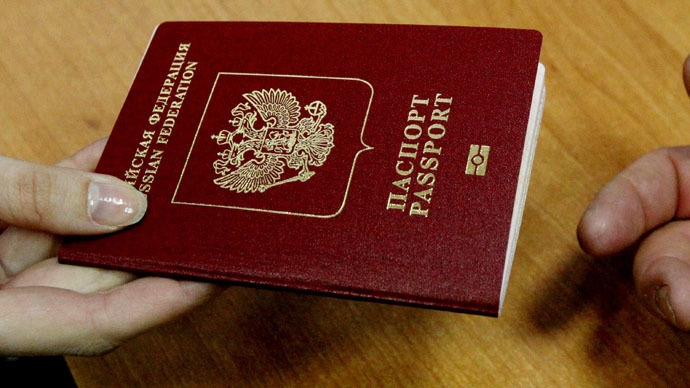 A 72-year-old Dutch citizen has written a letter to Vladimir Putin asking for a Russian passport. He explained his intentions by saying he loves Russia, admires Peter the Great and is tired of anti-Russian propaganda in Europe. "When I served in the army of the Netherlands, I was brainwashed with the words ‘the Russians are coming!’” Gerhard Reyndsen wrote in a letter to Putin, ascitedby TASS. “I said Russia will not come, because they saw a lot of grief and war, they want peace, and Americans are much more dangerous,” said Reyndsen, adding that right after that he was dubbed “a communist” by his commander. “I have always irritated my family, because I thought there was a lot of anti-Soviet propaganda [in Europe],” says the Russian fan. Reyndsen says he’s always taken an interest in Russian history. He knows a lot about the House of Romanov, the imperial dynasty which ruled until the 1917 October Revolution, and Peter the Great, the tsar who reigned at the turn of the 18th century. The architect and former employee of an international courier company currently lives with his Russian wife in Karlovy Vary, Czech Republic, where she runs a hotel. He met her back in 2008 in Rotterdam and they married in 2010. “My wife is from Ekaterinburg [a city in the Urals], her children are our children,” he says. Reyndsen follows the situation in Russia and around the world. He understands and speaks Russian a little, and his wife translates for him. “I was particularly outraged by the behavior of US authorities in connection with Ukraine,” he noted. “I kindly ask you, Mr. Putin, to advise me if I could get a Russian passport? For me it would be a matter of pride," he wrote. The Kremlin has so far made no comment about Dutch citizen Gerhard Reyndsen applying for Russian citizenship.